Management Board of the Swedish Development Agency for International Cooperation (SIDA) and the Ambassador of Sweden H.E. Jan Lundin visited Niš and met with the mayor Darko Bulatović, with whom they discussed sustainable urban development. 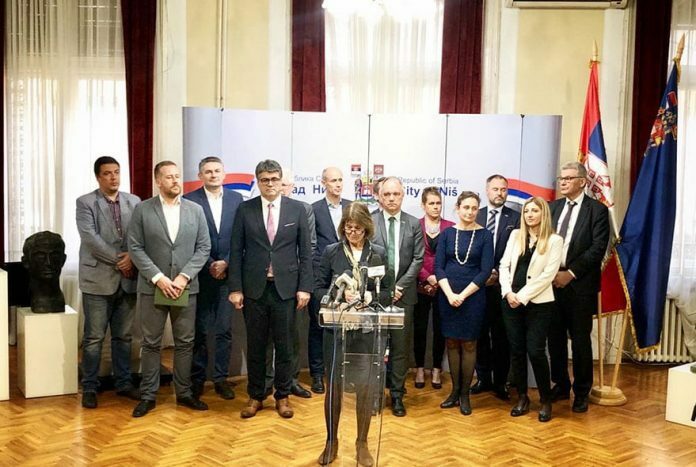 Niš is the first city in Serbia that SIDA has visited since Sweden declared to support the preparation of the construction of a wastewater treatment plant in that city. 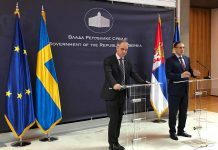 Sweden’s support to Serbia, including development cooperation, is based on Serbia’s commitment to the EU integration process. The development program is 11 million euros a year and covers the areas of democracy, the rule of law, economic integration, environmental protection and climate change. Sweden supports reforms to improve environmental standards and strengthen processes on Serbia’s road to the European Union. Over the period from 2016 to 2020, about 20 million euros are envisaged for ecological reforms. “Sweden and Serbia have a long history of cooperation, including development cooperation. The Steering Board wants to know more about the priorities for cooperation, both today and tomorrow. In Niš, we have a good example of our cooperation. 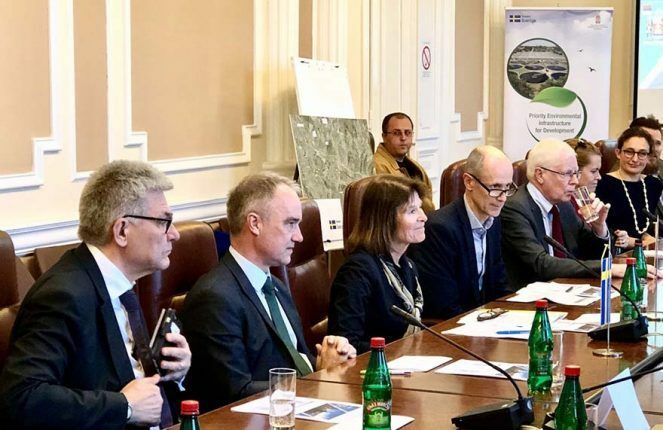 Together with the Ministry of Environmental Protection, the city of Niš and the European Union, we have joined forces to build wastewater treatment plants,” said Ivon Gustafson, Chairman of the Managing Board. Urban sustainable development is necessary to ensure the health of citizens, cleaner rivers, air and soil, and economic growth. The project in Niš includes close cooperation with the Ministry of Environmental Protection, local authorities and representatives of the city of Nis with the Swedish PEID project (Priority Infrastructure for Development and Environmental Protection). The PEID project will support the preparation and conceptual design as well as the preparation of tender documentation for the wastewater treatment plant and collectors. Under the IPA 2018 program, the EU plans to finance the construction of a wastewater treatment plant in Nis with around 43 million euros. 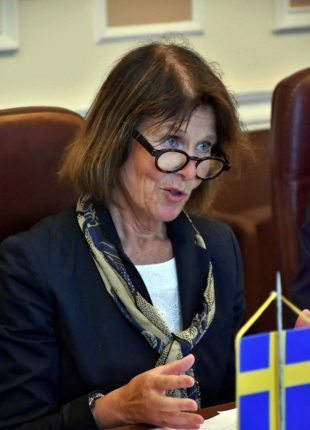 “I am grateful to the Swedish Development Agency for its donation and great work on this, for Niš a vital project, as well as the Ambassador of Sweden on numerous meetings and conversations we had about the project itself and the desire that it succeeded. We are now near the final stage of the project. 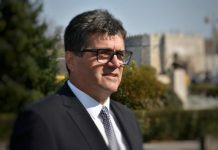 The city of Niš has fulfilled all the obligations, as well as the project team, and we expect that it will continue to do everything according to the agreed effective plan for the satisfaction of all of us, “said Darko Bulatovic, Mayor of Niš. In addition to the wastewater treatment plant in Niš, it is estimated that the Nisava River will be cleaner by about 11,000 tons of sludge and solid waste annually, which will ensure better citizens’ health and reduce the risk of illness. After the visit to Niš, the SIDA Steering Committee is travelling to Belgrade to meet with officials of the Serbian Government, representatives of civil society and local municipalities.